Grow your business, propose our realties. Havengrid Group with over 10 years in business tourist accommodation, develops and markets exclusive real estate projects, in a great economic development in Countries, mainly in Central and South America. Havengrid Group in its program of development, has formed partnerships with selected companies and real estate professionals and financial, for the promotion and distribution of its real estate products. 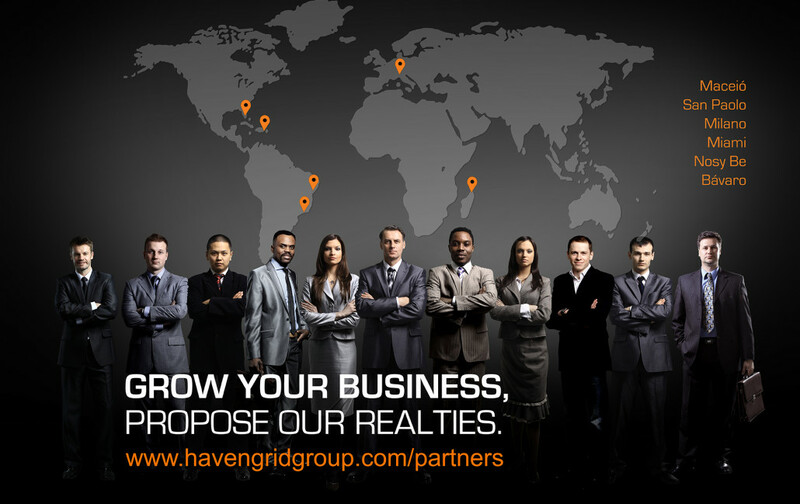 The objective is to create new opportunities for both parties; for Havengrid Group in sales growth through new contacts and, for its partners, offering a new product to its customers and the possibility of find new customers among those who prefer the real estate investment abroad, for example, in the Dominican Republic or Brazil.